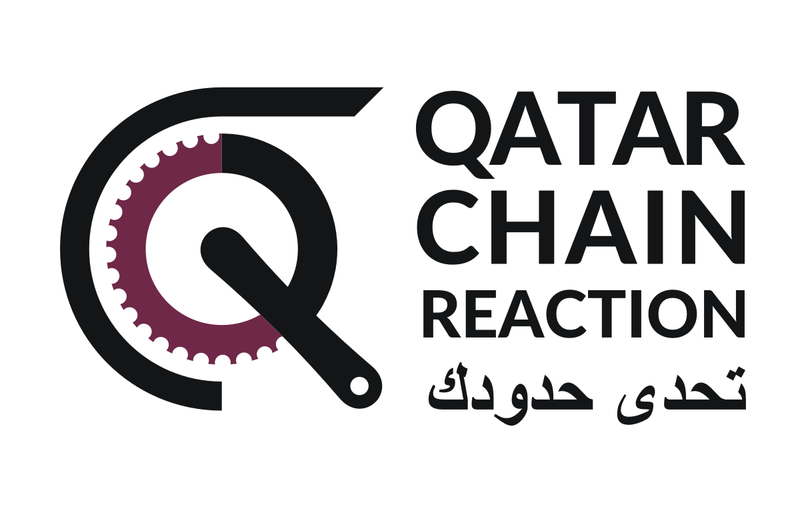 This is a proposal for Qatar Chain Reaction logo. Qatar Chain Reaction is a volunteer branch of the Qatar Cycling Federation. It is supporting recreational road and off-road cycling by organising training, races and events throughout the year. It is also an active social network of cyclists in Qatar. Together with Maria we worked on a proposal for new logotype. We aimed to combine the chain, chainring and crank to form a design where all the parts work together, just like the team in a group ride. It is also build upon the Qatari flag and its colours. We proposed a second alternative based on chain rings.